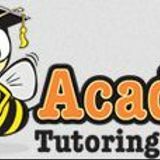 If you are in need of tutoring, then Bee Academic Tutoring located in Long Beach, CA is the perfect place for you. At Bee Academic Tutoring, we have tutors who want to make sure that your student excels in whatever academic pursuits they want to follow. Our passionate tutors have the goal of building good study and work habits in your student. We cover K-12 subjects in math, English, science, Spanish and history among others. Our tutors will come to you at your home, or any other location that you choose. At Bee Academic Tutoring, we believe that the best way to learn is through one-on-one teaching based on the individual learning styles of your children. Our tutors will customize a plan that will fit your child in order to bring out their best efforts.